When you are responsible for a corporate function, you need it to turn out great without your constant oversight. 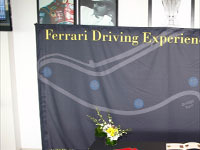 We will make certain that your event is perfect down to the very last detail. 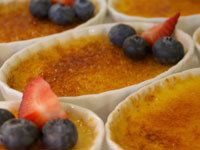 Let us orchestrate your catered event and turn it into something you and your guests will never forget. The Smoke & Spice team will assist you in all aspects of your next corporate event. 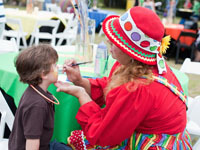 Designing event themes, games, bounce houses, music, tents, portable air conditioners, power solutions, tables, chairs, linen selection, floral arrangements and valet parking services are just a few services we provide for our corporate catering clients. Bacardi Team Building at Miami Beach Botanical Garden The day was packed with fun team building games developed and run by Team Enterprises. Smoke & Spice provided a catered breakfast, box lunches and a late afternoon BBQ dinner. Trulucks Corporate Picnic & Cultural Celebration It was an honor to plan and cater a picnic for a company with such great employee coulture. 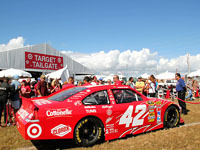 Target Tailgate Party The event was a blast. The team at Smoke & Spice Fine Catering & Events catered a monthly luncheon at Evelyn Greer Park in Pinecrest. Serving up our version of gourmet barbecue. 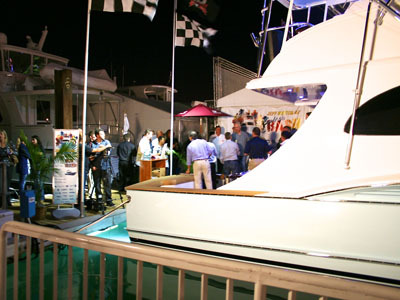 Miami Beach Boat Show Jarrett Bay Boatworks hosted a private party for 125 guests to view and tour the new Jeff Burton 46’. NASCAR driver Jeff Burton was on hand to talk about the boat, racing and sign autographs. Smoke & Spice provide the guests with BBQ themed Hors D oeuvres’ and a full Liquor bar. 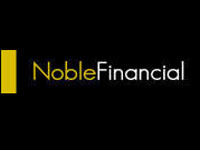 Noble Financial ask us cater the ultimate gourmet BBQ for their EXTREME Adventure in Capitalism party. 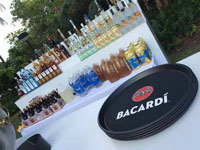 The three hundred guests enjoyed an array of real pit BBQ selections, hand crafted Hors d’ oeuvres and a top shelf bar. 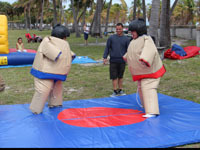 Hamburg Sud Corporate PicnicThe International transport logistics organization held a company picnic for its south Florida based employees. Smoke & Spice provided their unique award winning BBQ catering and design for the corporate barbeque party. 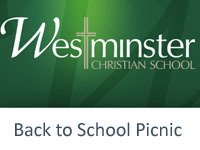 We were happy to participate as the BBQ caterer for the annual back to school BBQ and fireworks show at Miami’s Westminster Christian School. The event took place in Pinecrest on their baseball field which was large enough to accommodate the 1500 guests that enjoyed the catered event. 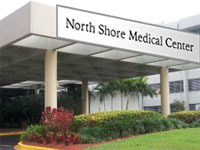 North Shore Medical Center Employee BBQThe Entire staff at Miami’s North Shore Medical Center was treated to a Miami BBQ in appreciation of their hard work and to celebrate National Hospital Week. A casual but tasty outdoor catered corporate Barbecue was served to the more than 600 employees of the Hospital.